It&apos;s no secret that Loudoun is the place for beer lovers. 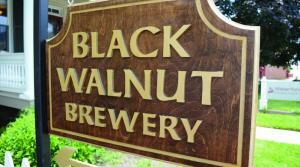 With over 20 breweries throughout the county, there is never a shortage of great brews on tap. There are plenty of ways to enjoy the #LoCoAleTrail whether you bike to your favorite breweries on the Washington & Old Dominion Trail or simply drive to your favorite, but the newest way is to sign up for the Leesburg Brew Crawl. Launched only a couple of months ago, the Leesburg Brew Crawl takes their guests on a historical walking tour of downtown Leesburg with a few well planned pit-stops at a few of breweries. Last Friday, I got the chance to go on the tour myself and I haven&apos;t stopped raving about it since. Without giving away all of the historical secrets of Leesburg, here is the story of my tour. A First Friday in Downtown Leesburg is already an exciting night with live music on every store front, special sales and plenty of people walking up and down the streets. This First Friday had an extra layer as I met my group downtown with the anticipation of beginning the crawl. After meeting everyone (there was a family from Pennsylvania! 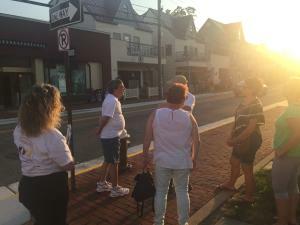 ), we started walking up Loudoun Street as Tom and Mary Jo told us the story of how and when Leesburg was founded. I was able to learn so much about the county seat that I have never heard before like that the town was originally called Georgetown after the King, but was changed to Leesburg a few years before the Revolutionary War. Or, that Loudoun Street and Royal Street were two of the original streets in the colonial subdivision. There were plenty of other great historical tidbits, but I can&apos;t give them all away. You&apos;ll have to go on your own tour to discover them all! 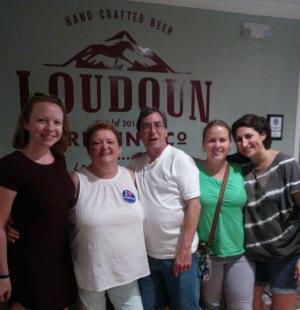 While the walk on a beautiful night paired with a great history lesson would have been a great experience on its own, they added in stops to three of Leesburg&apos;s breweries: Black Walnut Brewery, Loudoun Brewing Company and Crooked Run Brewing. At each location we grabbed a table, a 4oz pour of whatever beer we wanted (I recommend the Yellow Lab IPA, Clementine DIPA and Starfire Sour IPA respectively) and was given another great lesson about the history of beer. I learned that the first known alcoholic beverage was mead and that it was reportedly discovered by hunters and gatherers who came across a beehive filled with water after a rainstorm. I also found out that Louis Pasteur used his famous pasteurization process with beer 22 years before milk! There was so much interesting beer history and I really encourage any beer fanatic to book a tour to find out for yourself! The whole tour throughout Leesburg was about a mile (make sure to charge your fitbit to get those steps in) and lasted about three and a half hours. It was a great experience that will keep growing and changing as more breweries in Leesburg continue to open. There are five breweries now (Crooked Run Brewing, Loudoun Brewing Company, Black Hoof Brewing Company, Black Walnut Brewery and Dog Money Restaurant and Brewery) with Bike Lane Brewing scheduled to open later this Fall. Grab a group of friends, put on some comfy shoes and get ready for a local look at what Leesburg was, is and will become.